North Richmond Street, being blind, was a quiet street except at the hour when the Christian Brothers School set the boys free. An uninhabited house of two storeys stood at the blind end, detached from its neighbours in a square ground. The other houses of the street, conscious of decent lives within them, gazed at one another with brown imperturbable faces. 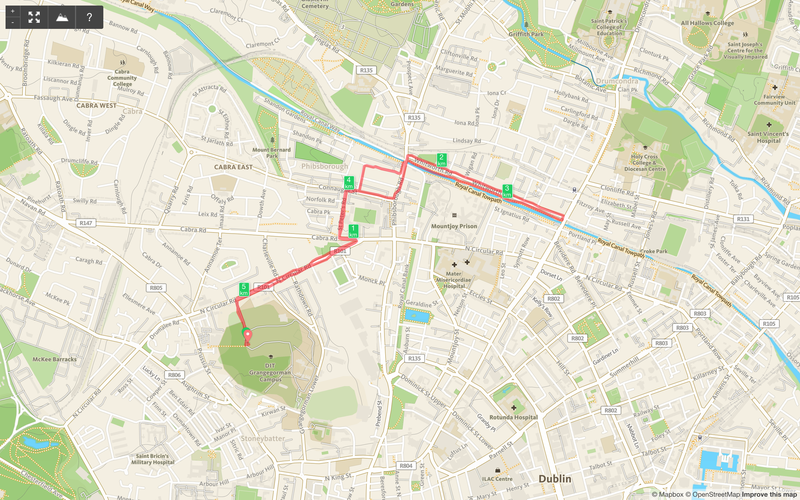 Joyce does not really describe the physical elements of Dublin in any detail. The quote above gives some detail about North Richmond Street, but is scant in the portrayal of the architecture or environment. Joyce’s friend Frank Budgen describes Joyce’s descriptions in his book James Joyce and the Making of Ulysses. 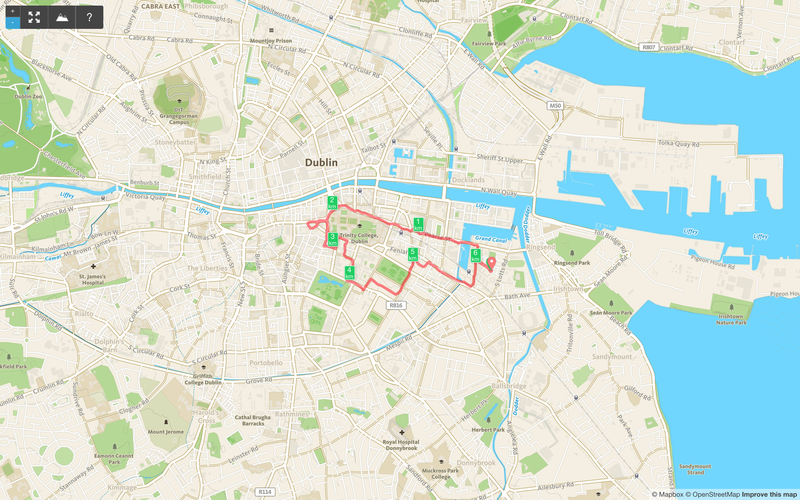 But it is not by way of description that Dublin is created in Ulysses. 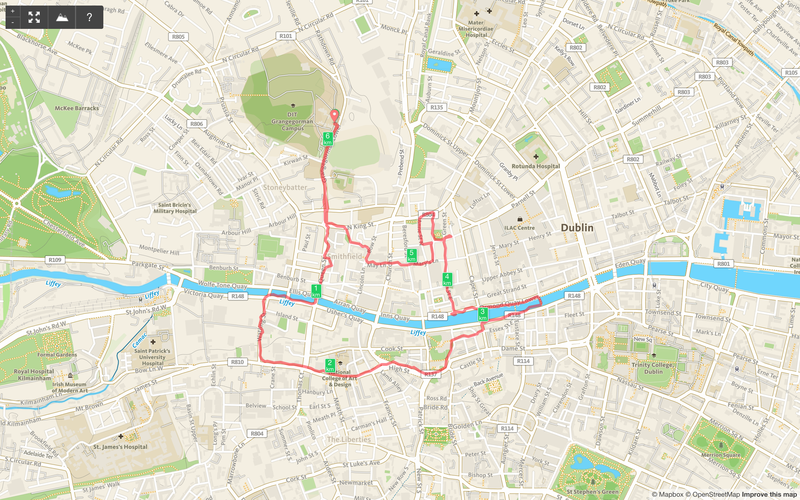 There is a wealth of delicate pictorial evidence in Dubliners, but there is little or none in Ulysses. Streets are named but never described. Houses and interiors are shown us, but as if we entered them as familiars. Not as strangers come to take stock of the occupants and inventory their furniture. Bridges over the Liffey are crossed and recrossed and that is all. I wonder if, in a novel of some 700 pages in length Joyce thought detailed physical descriptions were a distraction, or would add extra text without adding to the meaning, detracting from the motion of the narrative. But perhaps as his University friend Constantine Curran alludes to, he simply had no interest in his physical surroundings. All my student friends were devoted to the theatre; some of them shared an equal interest in painting or music. But I never once saw Joyce in the National Gallery or at any picture exhibition or heard him make any comment on Dublin painting or architecture. 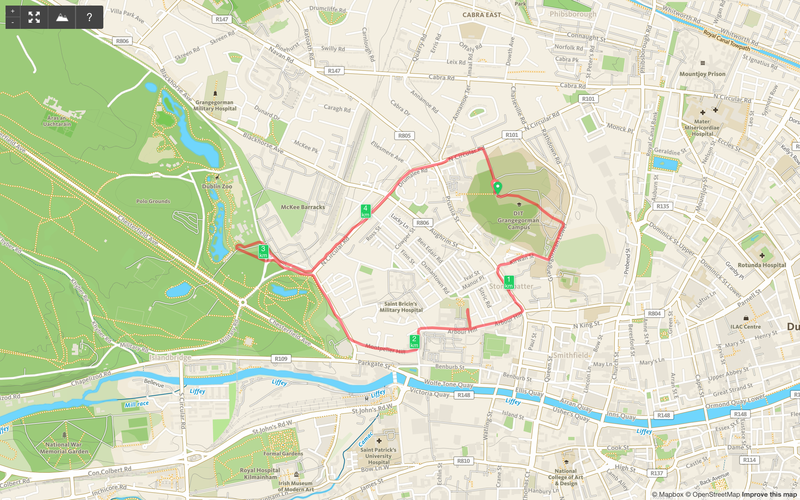 He knew the streets of Dublin by heart and his memory was a map of the town. But his interest in buildings, as in pictures, was for their associations. In her biography of Nora, Brenda Maddox writes about the upgrading of the Joyce family apartment at Square Robiac in Paris. Their friends all crowded in for a look and privately found it dreadful. 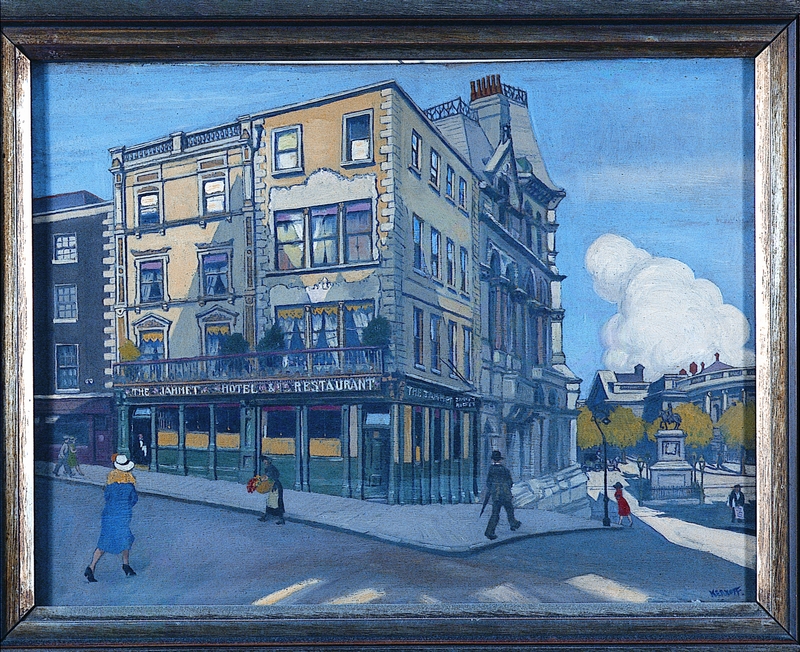 The kindest verdict was the painter Myron Nutting’s: ‘comfortable and not untasteful’. Helen Fleischman regretted that it was so unattractive and even Miss Weaver, once she had braved the ordeal of a Channel crossing to come to inspect the new settled working environment she wanted Joyce to have, found it bare-looking. To Sylvia Beach she confided the hope that the Joyces would furnish the flat more fully (although she knew at whose expense this would be done). These critics, like most of the Joyces’ visitors, were aesthetic sophisticates who expected Joyce, as a leader of the avant garde in writing, to be equally adventurous his personal surroundings. The Joyces’ indifference to design puzzled their friends all the more because Nora and her husband took an interest in modern music. 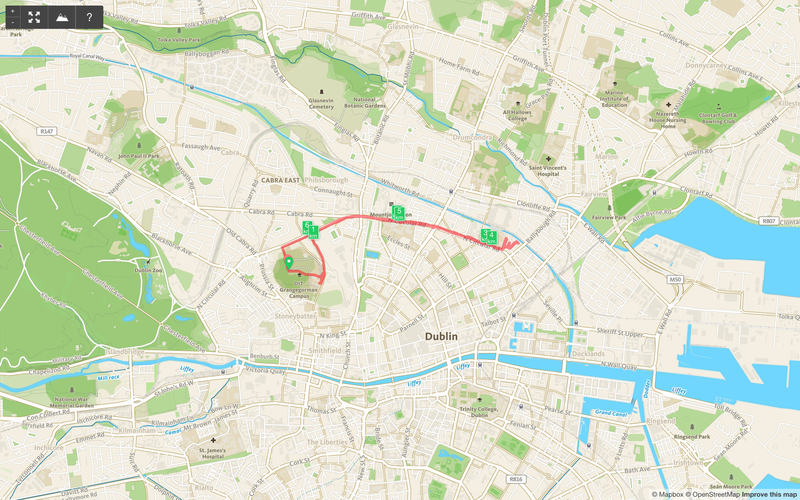 Perhaps in Joyce’s complete picture there are only people, not detailed architectural surroundings, and that is what he would recreate in his new Dublin. And if you wonder what North Richmond Street with its brown imperturbable faces looks like in reality, here is a photograph I took in June 2015, the street little changed in its physical makeup since the story Araby was written. Immediately to the left of the photograph, and out of the camera view is the Christian Brothers school. Edited out, much as Joyce edited out the details of his short period of education there. Budgen, F. (1960) James Joyce and the Making of Ulysses. Bloomington, Indiana, United States: Indiana University Press. Curran, C.P. (1968) James Joyce Remembered. London: Oxford University Press. —And, after blinking up at the sacred figure, Not a bloody bit like the man, says he. That’s not Mulcahy, says he, whoever done it. James Joyce was not the first born of John Stanislaus Joyce and May Murray. They had a son born on 23rd November 1880, some seven months after their wedding. The baby lived for eight days. 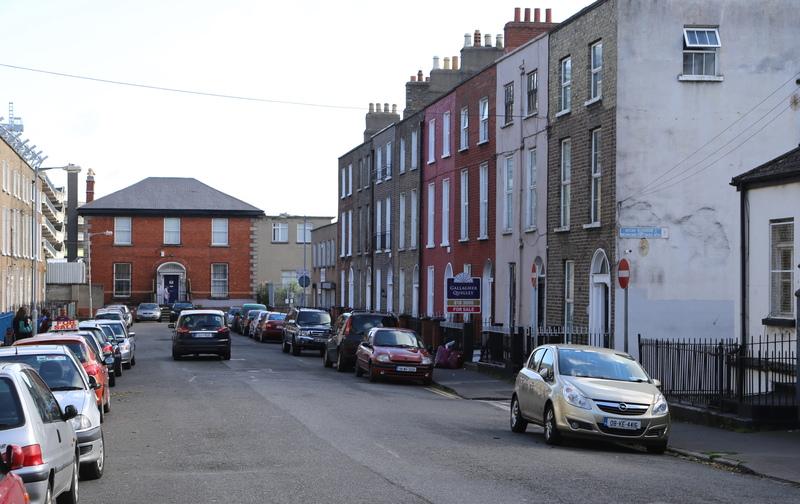 Wyse Jackson and Costello say that the birth took place at home in Ontario Terrace whereas Ken Monaghan, who’s mother May was one of James Joyce’s sisters, in his book Joyce’s Dublin Family, says the boy was born in 47 Northumberland Avenue in Kingstown, now Dun Laoghaire. 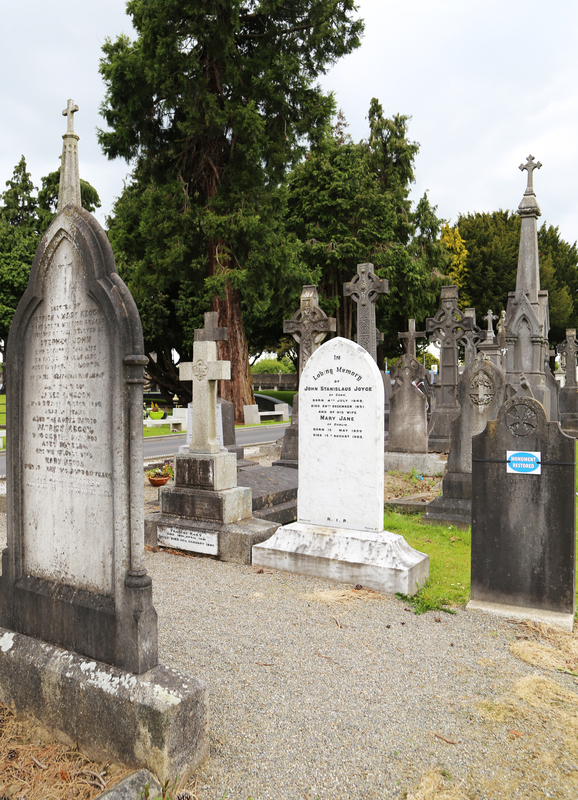 Regardless of the uncertainty of the birth, the baby was to be the first Joyce to be buried in the family plot in Glasnevin. For the funeral, John bought a plot in Prospect Cemetery, Glasnevin, where he knew the Superintendent, David Malins. This was the only estate he would manage to hold on to until his own death. 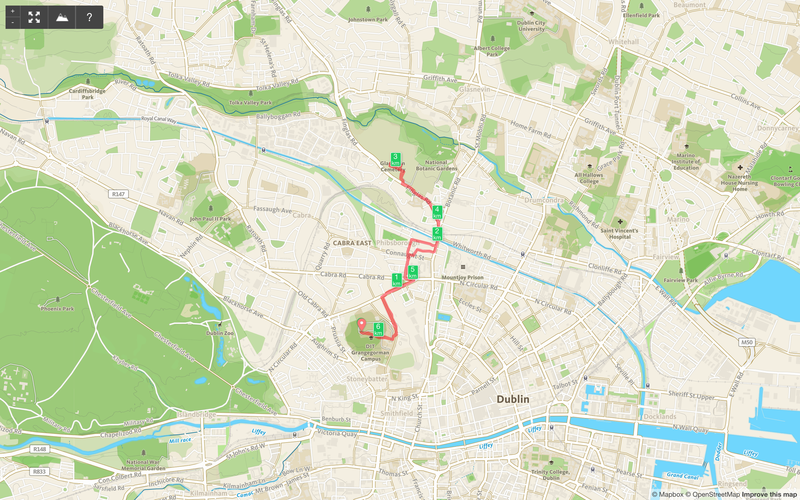 Glasnevin was on the northern outskirts of the city; the large graveyard there had the melancholy distinction of being ‘the Irish Valhalla’, as the burial place of, among other national heroes, Daniel O’Connell, who had helped to create it as an almost exclusively Catholic Cemetery. There were very few mourners at the freezing graveside; even the baby’s mother was not there – as it was not then customary for women to attend funerals. Mr Bloom stood far back, his hat in his hand, counting the bared heads. Twelve. I’m thirteen. No. The chap in the macintosh is thirteen. Death’s number. Where the deuce did he pop out of? He wasn’t in the chapel, that I’ll swear. Silly superstition that about thirteen. I have speculated elsewhere in this blog (Who was M’Intosh? December 23rd, 2014), about the man in the macintosh being a version of Stanislaus Joyce, but it was Stanislaus who noted that the impressions for the funeral scene in Ulysses must have been gathered from the two family funerals Joyce attended in the cemetery. As Jim disliked funerals and avoided going to them , his impressions for the ‘Hades’ episode of Ulysses must have been gathered either at my mother’s funeral or at my younger brother Georgie’s. He was never in the cemetery again. A headstone seems not to have been erected until after John Stanislaus Joyce’s death on the 29th December 1931, over fifty years since the plot was opened. In accordance with the instructions from his father’s ghost (so the son suggested), the gravestone for Glasnevin was soon commissioned (via Alfie Bergan) from Harrison’s, who had done the arms of Dublin for the North City Markets in 1892. Bergan had heard directly from John Stanislaus that the inscription was to mention only John himself and his wife May. There would be nothing about the other Joyces in the same plot, not even poor Georgie or Baby. James Joyce could not have attended the first burial in the Joyce family plot. He could have attended the last, but chose not to return home for it, despite being named as his father’s sole heir. One of the curious aspects of the headstone is that there is no religious iconography. The white stone is surrounded by dark headstones, complete with obvious crucifix adornments. John Stanislaus left explicit instructions that only his name, and that of his wife were to appear on the headstone. The white colour, in stark contrast to those surrounding it, may have been chosen to indicate that children were also interred, white being the traditional colour of children’s coffins. —Agonising Christ, wouldn’t it give you a heartburn on your arse? James Joyce’s father, John Stanislaus Joyce has many of the best lines in Joyce’s writings and appears in many different guises. Most obviously he appears as Simon Dedalus in A Portrait of the Artist as a Young Man as well as in Ulysses. Stephen began to enumerate glibly his father’s attributes. —A medical student, an oarsman, a tenor, an amateur actor, a shouting politician, a small landlord, a small investor, a drinker, a good fellow, a storyteller, somebody’s secretary, something in a distillery, a taxgatherer, a bankrupt and at present a praiser of his own past. 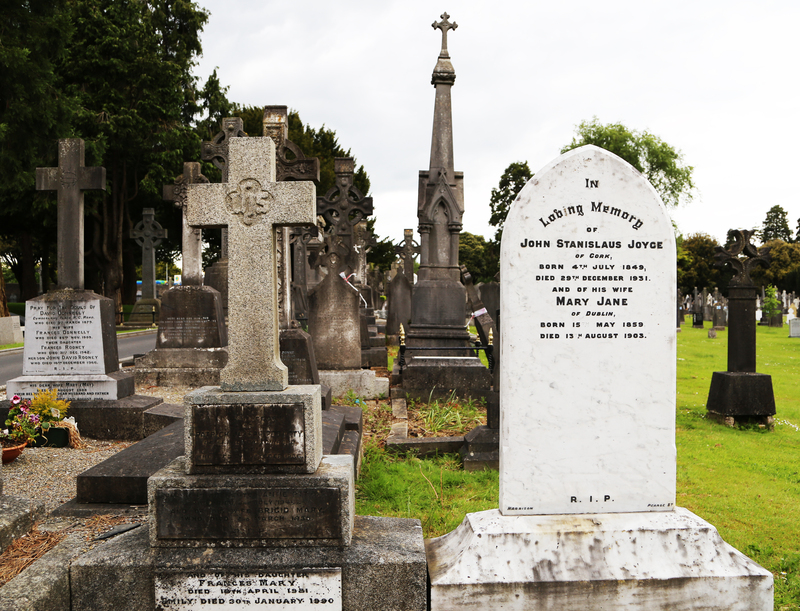 John Stanislaus Joyce died in Dublin on 29th December 1931, where he had been living on Claude Road in Drumcondra. In early 1934, Paul Léon wrote to Constantine Curran saying that James Joyce wanted a bench erected on Whitworth Road , opposite Claude Road, and Curran replied saying that he had been in touch with the Corporation regarding siting. (The James Joyce Paul Léon Papers, page 90). I ran by and there is neither bench, nor space for one as Whitworth Road has no footpath on the southern side, opposite Claude Road. I doubled back up alongside the canal, with the railway separating the canal from Whitworth Road. This beautiful section of the canal would be a very fitting place for a bench. In memory of James Joyce, Dubliner and his father John Stanislaus Joyce, Corkonian. 6th International James Joyce Symposium 1977. John Stanislaus Joyce divided opinion. This may be why the bench is shared and he is pointedly described as being a Corkonian. Stanislaus Joyce had an uncharitable view of his father, which is continuously expressed in his book, My Brother’s Keeper, James Joyce’s Early Years. There to return – and die at home at last. –I’ll get rid of you all and go back to Cork. But I will break your hearts before I go. Oh yes by God! See if I don’t. I’ll break your hearts, but I’ll break your stomachs first. John Stanislaus Joyce never returned to Cork. 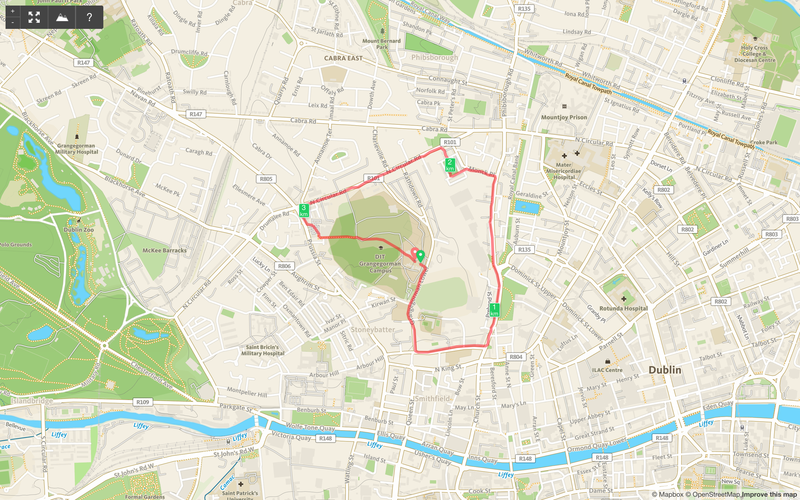 There is an old Dublin saying about Cork people, told to me by my own father. When they get off the train in Hueston Station they throw a stone in the Liffey. And if it floats they go home. Fahy, C. (ed.) (1992) The James Joyce – Paul Léon Papers. Dublin, Ireland: National Library of Ireland.